We have a sister programme in one state of Australia. marine environment first-hand, fostering kaitiakitanga. Since 2002, EMR has guided snorkel experiences in marine reserves around New Zealand involving 35547 students (53866 including teachers and whanau). EMR increases awareness and encourages action and support for marine conservation. We have guided a total of 54688 kiwis through our marine reserves. EMR is a national programme of experiential learning about marine conservation. Te Kura Moana - the school of the ocean. We increase awareness and encourage action and support for marine conservation. We are established in eight regions of New Zealand with up to 28 coordinators. We have a sister programme in one state of Australia. We provide schools and their communities with the expertise and knowledge to experience their local marine environment first-hand, fostering kaitiakitanga. Since 2002, EMR has guided snorkel experiences in marine reserves around New Zealand involving 35547 students (53866 including teachers and whanau).We have guided a total of 54688 kiwis through our marine reserves. We are committed to delivering safe snorkelling excursions and have robust health and safety documentation to match. 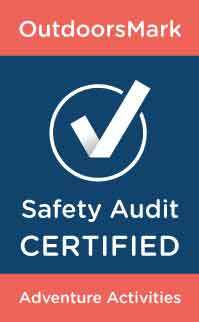 We are adventure activity safety audit certified (AAO 534). Check out images from EMR events here!